There was little time for discovery exercises or user testing at the beginning, but we did work with the Dev team to clean up and prioritize the features backlog into an agile sprint plan. I worked with an architect to assess the worst pain points and how our initial solutions might work across breakpoints. The existing site had a confusing and repetitive category layout and a disorganized taxonomy, making it hard for a customer to find what they were looking for without heartburn. 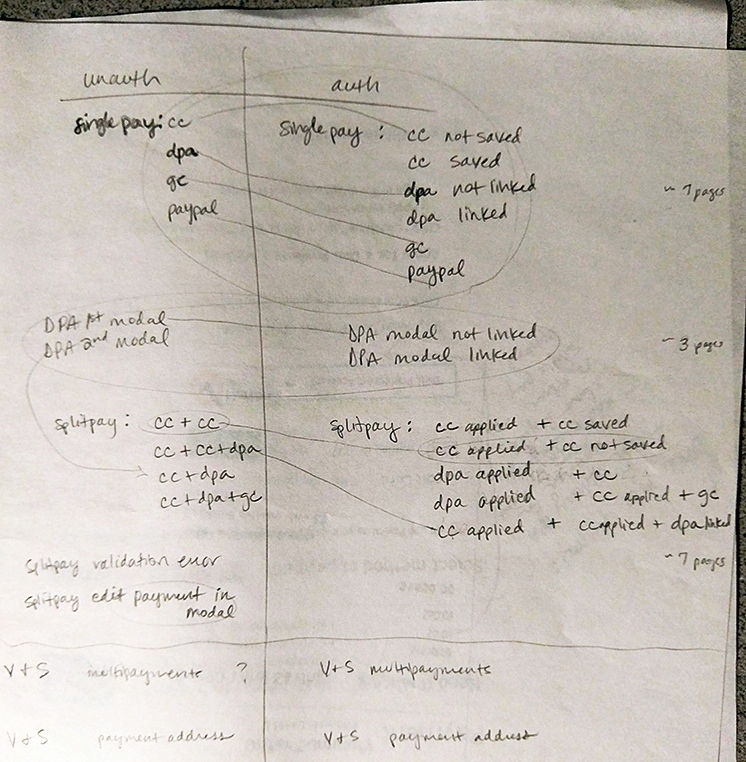 We scrapped all existing design and took inventory on what data and functionality to keep and what to throw out...keeping in mind that the taxonomy and product details for non-Dell branded products could not be changed due to several third-party provider services in place. 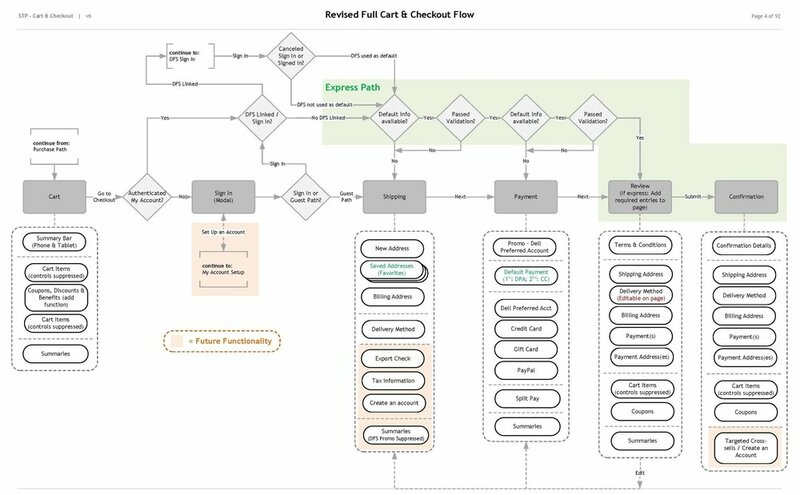 Basing the designs on test results from the consumer site, we sketched out templates and category hierarchy that more closely matched the consumer product path. The existing product details pages also got a new look since they lacked useful content and were visually disjointed from the consumer site. Landing Page: Users thought this page was very clear but expected to see shipping and financing information here. 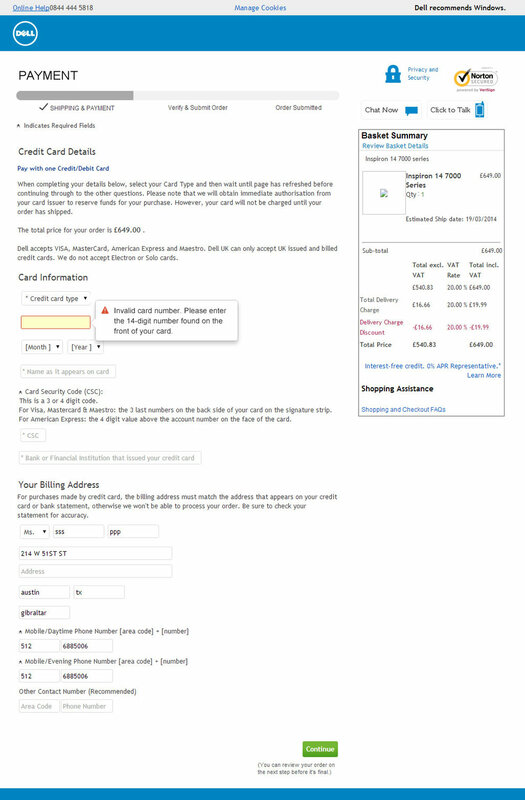 Category page: Users expected info to pre-populate for the address and "Create Account" section. They thought the Shipping and Payment info should be on the same page. Product details: Users expected to see specific credit card types, how to pay in installments, and a security icon or logo. The idea of splitting payments was confusing. The current navigation was repetitive and complicated. We knew we had to make the product category options quickly identifiable and reduce the number of steps to reach a product to the bare minimum. The approach for the S & P site navigation was adopted for the consumer site (with allowance for product variations). There's a feeling of consistency now. While limited on real user testing, we cobbled together an in-house skunkworks testing lab to obsess over breakpoints and folds, while our Dev lead ran a host of tests on browsers and OS compatibility. Service call volume was high and costly and CSAT for Software & Peripherals was lagging. The parts finder needed to be so easy to use, there was no question how to use it - well-defined search options, clear links and calls to action, concise help content, and the minimal amount of text or help content needed. Internally, it was a highly unified effort. Each section of the site and sometimes each page had different designers and Dev teams working on it. Consistency was key and Design had to be incredibly proactive. I took the lead on oversight for the required features across all design, Dev and project teams throughout the project lifecycle and for several months just in UAT, logging and fixing defects prior to launch. Launch was throttled - mobile launched first, then tablet launched another three months after, then desktop a year later.